Every Saturday from 09.00 to 12.00. It's possible to visit the museum also on the other days of the week, but it's necessary to reserve two days before. 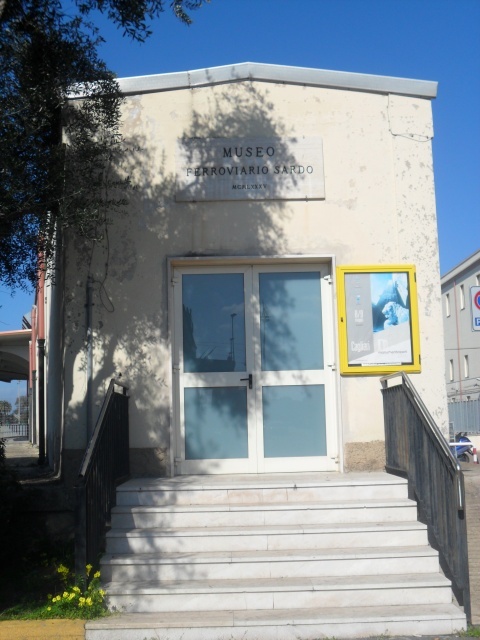 The museum collects selected items from the history of Italian Railways in Sardinia, since 1884. Documents, models and tools are on display along with the original furniture from the royal wagon destroyed in 1943 and the D744.003 steam locomotive. The Italian Railways Museum, located into the central train station in via Sassari, traces through several examples the most important steps in the history of railways in Sardinia. The original purpose was to conserve the testimony of industrial archeology preserved to nowdays. The business began in the second part of 19th century, carring out the project of the engineer Benjamin Piercy, which led to the construction of 400 km of standard gauge network , to which were added the so-called "complementary" narrow gauge. The museum , which collects several testimonies of Sardinian history of the railways , exhibits various objects as vintage photographs , a telegraph of the Real Railways, machineries, a working model of the ferry Gennargentu , lamps, clocks and rail instruments, but the most important piece is probably a living from the Sardinian Royal Train , very characteristic , since it has low height chairs made specifically for the stature of King Vittorio Emanuele III.